A friendly option in the pleasant Garth Road area near the marina in Bangor, maritime paraphernalia is very much to the fore and a seafood pasta in a rich tomato sauce hit the spot well. We came back with our tails between our legs after finding other nearby pubs to be less good and received a warm welcome. Good ales too - those from the Ringwood range were on as guests. 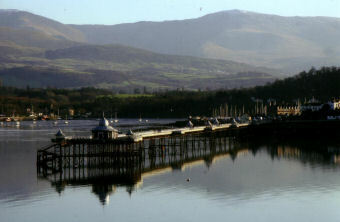 Marstons pub overlooking the harbour and the Menai Strait. Beers were all from the Marstons stable - Marstons Burton Bitter & Pedigree, Ringwood Fortyniner & Jennings Tizzie Wizzie. Inside is fairly modern. The one room has large velvet sofas and other bright furnishings. Elsewhere, there were various nooks and crannies with people enjoying a Sunday roast. Outdoors, there are a few different areas to enjoy a drink weather permitting. Service was friendly. Certainly one to combine with the Tap & Spile nearby. Decent, food-orientated pub also offering very reasonable bed-and-breakfast accommodation. Well kept Marstons ales. 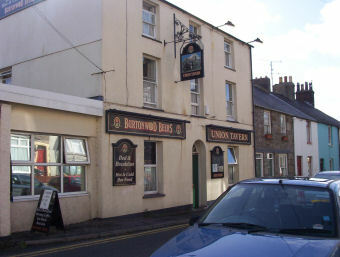 Formerly the Union Tavern but, as the new name suggests, right by the small harbour in the Garth area of Bangor.